Atlanta, Georgia, presented the USA not only with Coca-Cola. It is also the motherland of Martin Luther King - the Messiah of Afro American people in the struggle for civil rights. Moreover, Atlanta is the native city of the scandalously famous producer and rapper Kanye West. Though West left Atlanta being a small kid, the MC constantly proves he is the son of his democratic city. Six Grammys owner did the following: criticized George Bush's policy on TV, appeared on a magazine cover in the image of Jesus, called other rappers not to discriminate gays... But West's albums are well sold because of his music - not because of all these extravagant gestures. Strangely, at first record companies refused to work with him, saying he was not a stereotypical hip hop artist, and lost: both West's two albums became hits. The release of West's third album Graduation arose many rumours. West deliberately presented Graduation to the public on September, 11, 2007, the same day 50 Cent released his new creation Curtis. It means that the works of two rivals will compete for better sails against each other. The first single from Graduation, Can't Tell Me Nothing, very expressive, melodic and frank, demonstarted that West definetely grew up as an author, though luckily did not lose his sprakling sence of humour and love of wordplay. The second single, Stronger, immediately became a hit. This outstanding composition was recorded by the rapper in collaboration with electronic veterans Daft Punk and proves for all 100 per cent West's statement, that he is "all about surprises". Stronger is an inexressibly pleasant surprise, but not the only one on Graduation. Drunk And Hot Girls (ft. Mos Def) is a dark track with emotional vocals and a beautiful lyrical piano solo. One more prominent song on the album is Good Life (ft. T-Pain) with a catching chorus. 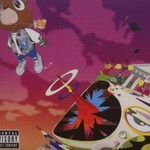 Some of the compositions thematically and musically remind of Kanye West's previous work, Late Registration. They are I Wonder, The Glory and Everything I Am. The album closer, Big Brother, is a touching ode to Jay-Z, its lyrics is so deep that can make fans give way to tears. Third album is a very important occurence for every artist, it can be even called a crucial point, as it indicates, if the talented person has enough potential to amuse the listeners for many years, or the star is going to fade in some time. For Kanye West Graduation is one more confident step in his progressing career that began in 2004 with the debut work The College Dropout. The MC's approach to recording this disc was more mature, besides he went on to demonstrate the appreciation for a large ammount of musical styles and careless attitude to conventions and boundaries. West knows perfectly his strong features (besides the impressing talent) - courage and unique style. These qualities helped him not to give up in the beginning of his musical activity, they make him the favourite of the audience now, in the outburst of rapper's fame. One thing is clear for sure: West is worth competing to 50 Cent like no one else, and the struggle between Graduation and Curtis is going to be hot.